Feria is a festival celebrated throughout southern Spain (the Andalusia region) that includes bull fights, lots of live music, beautiful costumes, delicious food and shops galore! This was my first year experiencing it and it was like nothing I'd never seen before. 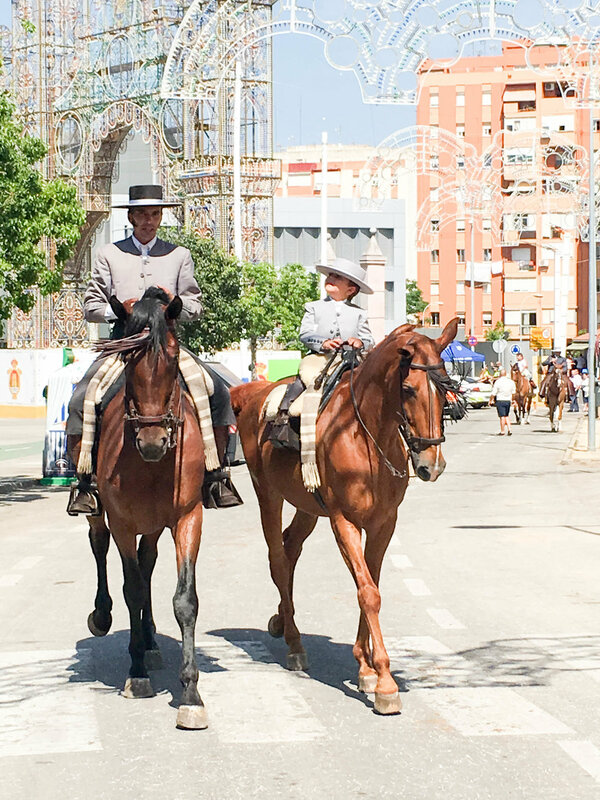 Almost every city has some sort of Feria every year- it's definitely a sight to see! Lucky for me, I had this dress waiting for me at my sister's house when I got to Spain. Surprisingly enough, it fit me like a glove. Feria dresses are so form-fitting and heavy, I didn't know how I was going to make it through the day. But the dress was so beautiful I didn't want to take it off. I wish I would have taken more pictures of the different style of dresses I saw there! My forgetful self left the memory card for my camera in my computer, so all I had to work with was my iPhone and it was not cooperating with me. I did manage to get some pictures though!